So the upcoming War of the Spark is going to be interesting, so until it comes out I thought we talk about who will be in it and put some of our cards in to our understanding of the story. Please put Custom Cards and thought on the War of the Spark below. what is the war of the spark exactly? what type of discussion is it? I expect that if Tezzeret makes an appearence, he will be Black and blue, I all suspect that all 10 guilds will be represented in some form or other. 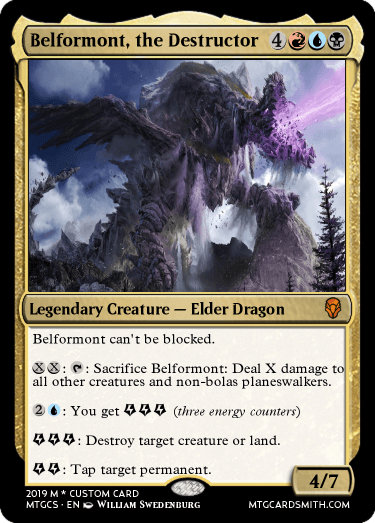 Soon he will control Ravnica and the Other Planes. The discussion is to predict Planeswalkers to appear and for Custom Cards that are for the Story. @pjbear2005, I also think that the Guilds could be represented in some way.